Triple negative breast cancer effects 20% of breast cancer patients and is not responsive to typical cancer treatments. Early detection and fundraising for research are important to increase the odds of the women diagnosed with this deadly disease. 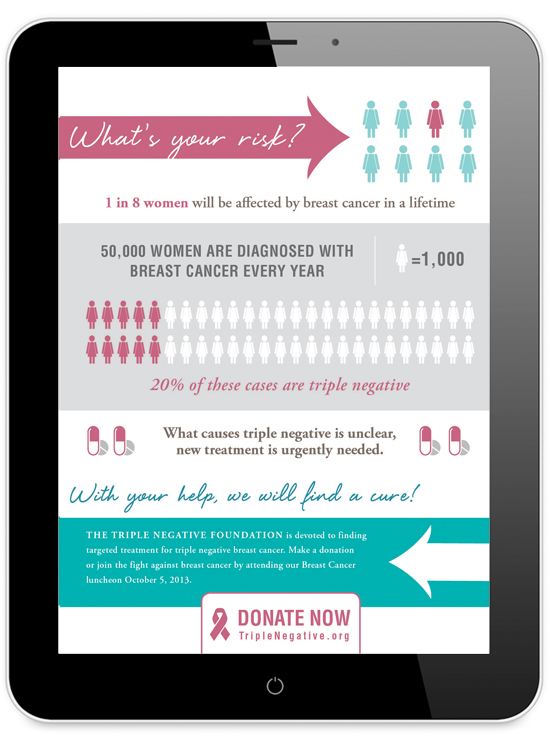 This concept was developed as an infographic to accompany an article on Triple Negative Breast Cancer research. The design was created for both email and print collateral whose purpose was to raise awareness and funds to support research on disease.